For the past few months Dogecoin has been making various major announcements as an attempt to keep up with the growing crypto-verse. The latest now being the team declaration that on Sep 5th, 2018 the token transferring bridge between Ethereum’s network and Dogecoin’s chain will be released. The team behind the meme-d coin is working rigorously on the smart contract – Dogethereum. While performing as a bridge, it does enable transfers between the two chains easily. The elaborated coin here is in more benefit as its range of operations increases accordingly with the second in lead Ethereum’s flexibility with smart contracts. 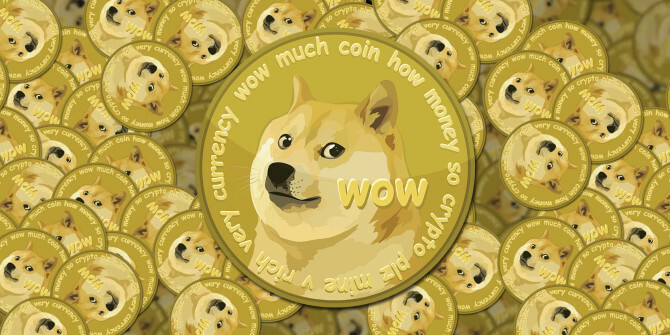 When the connection is commenced, Dogecoin will gain from the link by being supported from Ethereum’s stable token price movement and liquidity. This comes as a conclusion from the services that Ethereum delivers. – Dogecoin (DOGE) founder, Jackson Palmer, has weighed in on an alleged cryptocurrency theft linked to internationally recognized telecommunications company AT&T, saying it is surprising cryptocurrency millionaires are falling prey to the same technology they are advocating. Palmer and other cryptocurrency enthusiasts are disturbed over the $23.8 million stolen fund of U.S. entrepreneur and cryptocurrency investor Michael Terpin. – The California-based fintech firm Robinhood announced that it will be listing Dogecoin on its rapidly expanding feeless crypto mobile app. This announcement comes only a few days after Robinhood revealed support for Litecoin and Bitcoin Cash. 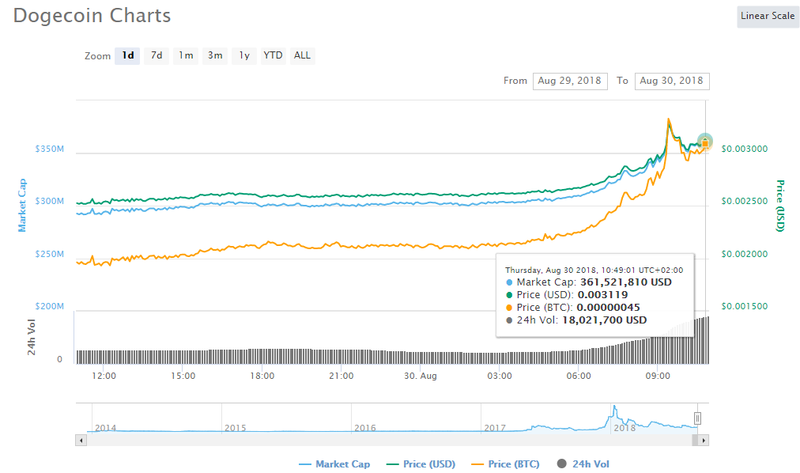 The only in the gain on the 30th of Aug, 2018 – the pair DOGE/USD as it flies above the $0.003000 mark reaching $0.003133 with 23.27% increase in the last 24-hours. It is leading the BTC market for 25.39%.